Now that you have tackled the exposure triangle, it’s time to move on to some more creative stuff. Depth of field, also known as DoF for short is something that you should master. By now, we all know that aperture affects DoF, but there are other factors too, which we will talk about in this article. 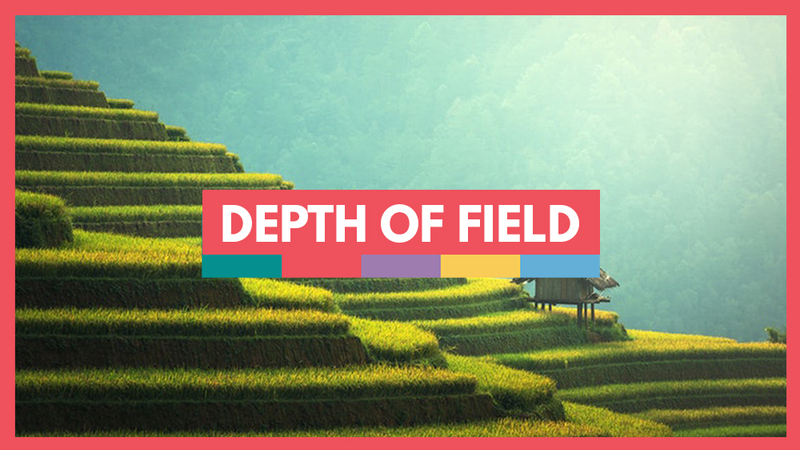 What Exactly is Depth of Field? Simply put, it’s the distance between the closest and farthest objects in a photo that look sharp. Cameras can only focus very sharply at one point, but the transition from sharp to blurred is a gradual one. Don’t make the mistake of trying to get your images super-sharp and thinking that anything less is no good – there are many different definitions of acceptable sharpness, and they depend on different factors such as the size you are viewing the image at, what you are viewing it on, and it’s got something to do with what’s called the ‘circle of confusion’ – I’m not going to even attempt to explain that one to you, – it’s yet more maths and science, and I think it’s aptly named! Whether you shoot in RAW or JPEG can also have an effect on the sharpness of your image straight out of camera. RAW files don’t have the same sharpening applied to them in-camera as JPEG’s, so they are naturally softer. You get to control how much sharpening is applied in post-processing with RAW files, rather than relying on the camera to apply a one-size-fits-all sharpening filter like it does with JPEG’s. Before I get too far off-topic, let’s explore the factors that affect DoF. Hopefully you already read the article on aperture that I wrote earlier in this series, and you’ve got a grasp of how it affects your depth of field. For those of you who haven’t, basically large apertures like f/1.4 give a very shallow DoF, where only a small part of the image is in focus, and small ones like f/32 will give a very wide DoF where nearly all of the image is sharp from front to back. The distance from your camera to your subject will affect your DoF. The closer you are to your subject, the smaller the depth of field. This means that if you are right up close to something or someone, the area of the image that’s sharp is far less than if you were shooting the same thing from six feet away with the same aperture. If you use a macro lens, (for those who don’t know what a macro lens is, it’s a special lens that lets you shoot tiny things up close.) you’re extremely close to your small subject. Think of photos of bees and other insects – they’re large in the frame because the photographer used a macro lens to get in very close. The problem with this is that it dramatically reduces the depth of field available. 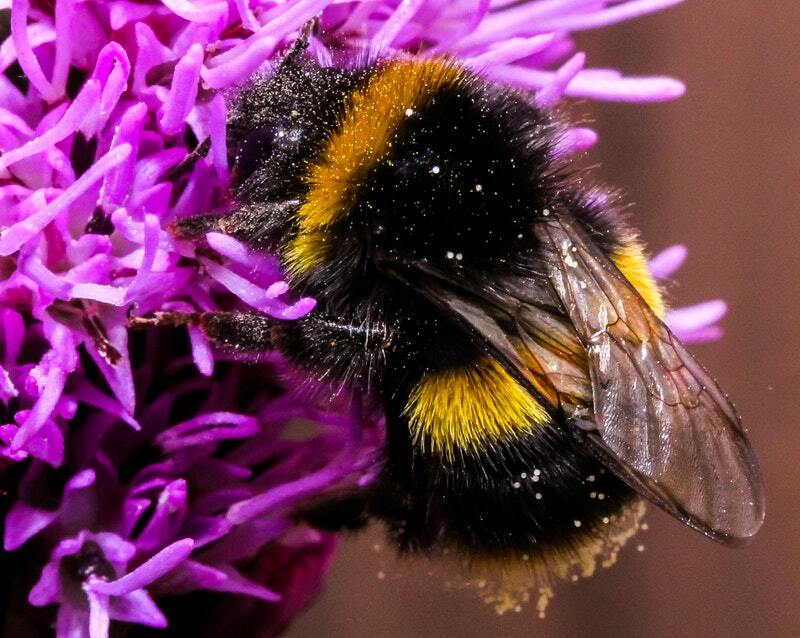 A photo of a bee that only has one leg in focus would be no good, however large in the frame it is. Macro photographers get around this by something called ‘focus stacking.’ Keeping the same distance and focal length, they shoot all around the bee or flower or whatever, changing the focusing point slightly each time, so that different parts of it are sharp. These photos are then run through focus-stacking software, which stitches together all the sharp areas from all the photos taken of that subject. The end result is a bee or flower that is perfectly sharp and in focus from front to back. A basic explanation is that cameras with smaller sensors have a larger DoF. The comparison has to be made carefully, though. If you take a full frame camera and a crop sensor camera, and put the same lenses on them with the same focal length and shot at the same distance and aperture, you would find that full-frame cameras with larger sensors have a shallower DoF. That is why portrait photographers tend to prefer full-frame cameras. They like a shallower depth of field in their portraits than a crop-sensor camera at the same aperture and distance could give. Some DSLR’s have a depth of field preview button. If you press this button down while looking through the viewfinder, the camera will stop down the lens and let you see how your image is going to look. You can also find DoF calculator apps for your smartphone, and if you have live view on your camera, you can preview how your DoF will look. 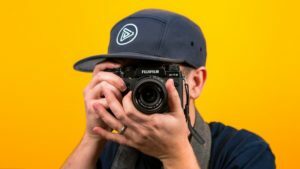 If you are lucky enough to own a mirrorless camera, what you see through the digital viewfinder or on the LCD is how the photo will actually look. In my opinion, knowing when and how to use DoF artistically is more important than slavishly calculating your depth of field every time you want to take a shot. Where’s the enjoyment in that? The best thing you can do is practice. Try shooting something close-up and then further away at the same aperture and focal length. You’ll see the differences, and start to understand exactly what your camera and lenses can and can’t do when it comes to depth of field. One other thing that’s worth a mention while we’re on the subject of DoF is ‘bokeh.’ Bokeh is a Japanese word that is used to describe the aesthetic or pleasing quality of the blur in shallow DoF images. Not all lenses produce the same ‘look’ to the blur in shallow DoF images. The lens determines the shape and size of the bokeh, which is affected by the shape of the diagphram blades (the aperture) of the lens. Lenses with rounder blades will have more circular, softer orbs in the blur than those with more hexagonal blades. There are actually whole forums and websites dedicated to bokeh and whether a particular lens produces ‘ugly’ or ‘good’ bokeh! I hope this article has helped you to understand depth of field, and all the factors that affect it. Next time we’ll be discussing under and over-exposing your images for creative effects.